This addendum to our FAQ about the birth of Jesus Christ will set forth the corollary truth about his second “birth,” something not as well-known but, in reality, just as necessary as his first birth in accomplishing God’s plan for him as the Savior of mankind. Had Jesus not been born in Bethlehem, and then chosen to live a sinless life all the way to the Cross, he could not have been “born” a second time via God raising him from the dead. 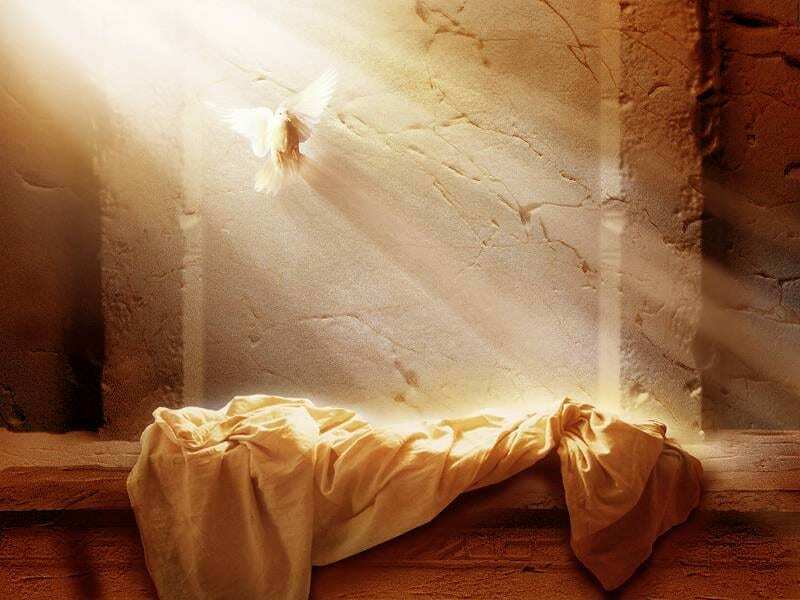 We will see that, in Scripture, Resurrection is figuratively called “birth.” At his first birth, God prepared Jesus for his earthly ministry as the Redeemer of man by giving him a body with sinless blood, untainted by the sin of Adam that beset all other men and women. At his “second birth” (his Resurrection), God prepared Jesus for his heavenly ministry by giving him a body forever energized by His holy spirit, one in which Jesus as “Lord” now has the capacity to function as the Head of his Body, the Church, communicating with each member of that spiritual organism. 5 For to which of the angels did God ever say, “You are my Son; today I have become your Father”? Or again, “I will be his Father, and he will be my Son”? At first glance, the above verses seem to refer to the first birth of Jesus, and one might think of the words to the classic Christmas carol, “O Come All Ye Faithful,” where it says that Jesus was “born the king of angels.” As per Hebrews 1, those words are true, but not regarding his first birth. Yes, Jesus was born to one day be the king of the world, but it was his “birth” from the dead that guaranteed the future fulfillment of this reality. At Bethlehem, the great company of angels who announced the glad tidings to the shepherds did not worship Jesus, but God (Luke 2:13 and 14). And, speaking of his first birth, Hebrews 2:9, properly translated, says that Jesus “…was made lower than the angels…” for a little while (RSV, NRSV, NASB). So let us look more closely at Hebrews 1:5 and 6, and in so doing we will see some of the marvelous precision of God’s written Word. Paul specifically clarifies that Psalm 2:7 refers to the resurrection of Jesus, and that fits perfectly with the ensuing verses (8–12 above), which are as if God said to Jesus, “Well, now that you’re up from the dead, what would you like to do? How about ruling the world when the time comes?” And that is exactly what Jesus will do one day. 8 But about the Son he says, “Your throne, O God, will last for ever and ever, and righteousness will be the scepter of your kingdom. In context, these verses specifically refer to Jesus’ first birth in which his fleshly body was prepared for sacrifice. However, given that his first body was prerequisite to his second, and that the “scroll” prophesies of both his first and second comings, we believe it also subtly points toward his second birth and second body. Actually, the job set before the Redeemer of all mankind was so big that he needed three different bodies to do it. We who are Christians as per Romans 10:9 are Body #3. The Lord Jesus has diversified himself through us, and now it is we who represent him on earth, doing the works that he did. Jesus is the Head of the Body, the Lord who has saved us and filled us with holy spirit to minister in his stead now, and he is the one whom we anticipate meeting in the air. What a magnificent plan God had, and what a Savior Jesus is to have carried it out. In regard to Israel, Jesus’ first birth brought him into his ministry as their promised Messiah. But at his first coming to Israel, they, as a nation, rejected and killed him. His second “birth” brought him into his ministry as the exalted Lord who will one day come again to Israel in fulfillment of Hebrew Scriptures prophecy. But then he will not come as the Lamb of God to be the sacrifice for man’s sin; he will not come riding on a donkey. When he comes again to Israel, he will come as the Lion of Judah, riding on a majestic white horse, and then it will be he who destroys the enemies of God and raises from the dead all Jews who believed in him as the Messiah.